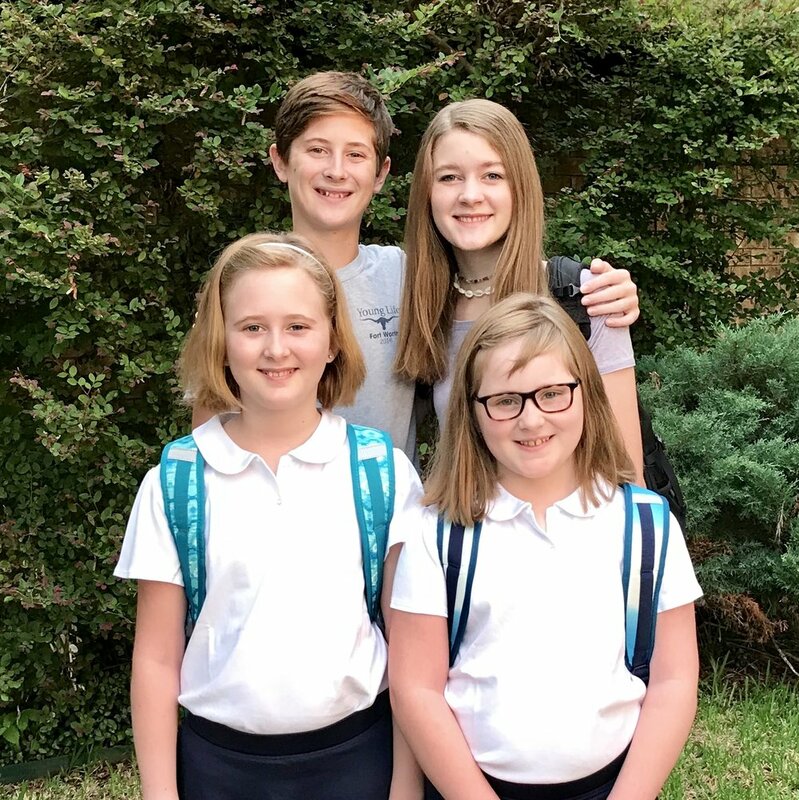 First Day Of School (FDOS), like LDOS, is sort of like a holiday in the Sasser family. The anticipation, the excitement, the new backpacks and supplies...it may be second only to Christmas Morning in our home. For the first time in the history of our family, Annie is no longer the tallest child. Her younger brother Jake has officially surpassed her in height (as we knew he would), and I think this photo is the first official chronicling of that fact. Go back and take a look at the photo from LDOS (Last Day Of School), and check out the growth spurt in real time. Way to go, Jake! Yes, everyone is back in school, and the first week was a doozy of an adjustment for me. The children were all happy and well-adjusted. I, however, was shocked by the cold-shower reminder of the logistical circus that is our life with four children and only two adult drivers. Step right up! In this ring, happening simultaneously, we have Boy Scouts and Soccer Practice. To your right is the long-time favorite Three Different Drop Off Times. To your left is the amazing juggling act of Band Sectionals, Jazz Band, and Marching Band Practice. And don't forget to watch the daredevil death-defying act called What Will Everyone Eat For Dinner? This year we have two in high school (Annie is a Sophomore, Jake a Freshman), and two in elementary (Norah in fifth, Lillian in third). I think this is one of those years where the age difference feels more pronounced between our two sets of siblings. Something about high school versus elementary sounds very distant, when in reality they are relationally much closer. I am proud of each one of them, for the ways they are growing and learning. Each year I am reminded how fast the time flies, and how they don't stay little for long. Cheers to another school year off and running!